Jobs Vacancies in Panacea Biotec - Latest Employment News, Sarkari Naukri, Current Vacancy and Rozgar Samachar. Post Code :-01, SBU- Health Care, Specialities- Ortho, ENT & Gastro Products. Post Code :-02, SBU- Grow Care, GP, CP, & Respiratory Products. 22nd April, 2011, 4th Floor, Suraj Towers, Jamal Road Patna- 01. Contact Person :- Mr. Devendra Moitra - 09386852318. Panacea Biotec is India’s highly progressive research based health management company involved in research, manufacturing and marketing of branded pharmaceutical formulations, vaccines and natural products. The product portfolio includes highly innovative prescription products in important therapeutic areas like pain management, diabetes & cardiovascular management, renal disease management, osteoporosis management, anti-tubercular, gastro-intestinal care products and vaccines. 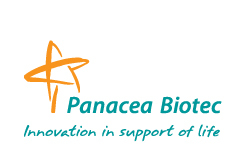 Panacea Biotec is the third largest biotechnology company (as per ABLE Survey, 2010), as well as among the top 50 pharmaceutical companies (as per ORG IMS March 2010) of India. To tap newer opportunities, Panacea Biotec has organized its formulation marketing into Six SBUs - PRO Care, Diacar Alpha, Diacar Delta, GROW Care, Onco Trust, Transplantation and Nephrology, which enables it to respond to changes in the industry and marketplace. The company is actively exploring opportunities for launching as well as licensing out some of our patented products for manufacture/marketing in developed countries in Europe & North America. The company has ultra modern, state-of-art production facilities at Baddi (Himachal Pradesh), Larlu (Punjab) & Delhi for manufacturing tablets, capsules (including soft gelatin), ointments (transgel formulation) liquids, herbal formulations and vaccines. The facilities are WHO cGMP compliant. Panacea Biotec has established a countrywide sales and marketing network in India through a vibrant sales force of more than 1,500 professionally trained and highly motivated marketing and sales professionals and efficient logistic network of 22 sales depots/carrying and forwarding agents all over India to make its products available at all places and at all times. Job Description -Meeting doctors, Retailers & Stockist. -Generating Prescription for our brands. -Ensuring availability of our products at chemist counters and also at stockists’ points. -Fulfilling all set work norms like doctors call average/ doctors coverage etc. -Achieving the set sales objective/Target. Desired Profile - Sincere/Disciplined, Committed, Good communicator, having High Integrity. - Sound knowledge of products dealing with. - Basic skill to convince the customers and persuasive ability. - Reasonable competency to manage the objections raised by customers. Compensation: At par with the best in the Industry.